"it's not medicine! it's lotion and so it isn't allowed in the class!" 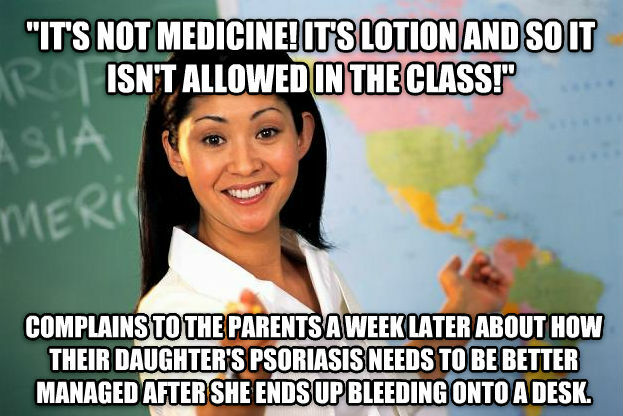 complains to the parents a week later about how their child's psoriasis needs to be better managed after she ends up bleeding onto a desk.